Have Your Say: Is China interfering in Africa’s affairs? 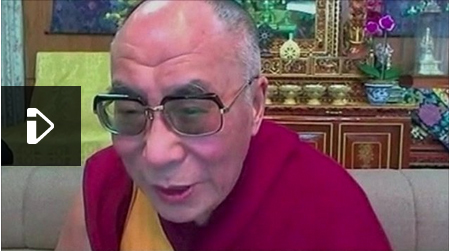 The Dalai Lama has criticised China via a live video link in South Africa, after he cancelled a trip to celebrate Archbishop Desmond Tutu’s birthday. The Tibetan spiritual leader’s office said the South African government had failed to grant him a visa on time. Pretoria maintains it was not pressured by China to block the visit. During the video discussion with fellow Nobel Peace Laureate Archbishop Tutu, the Dalai Lama said he made China uncomfortable by speaking the truth. “Some Chinese officials describe me as a demon so naturally some fear… the demon,” he is quoted by the AFP news agency as telling the archbishop during the live video link. He said that “hypocrisy” has become part of the fabric of the “communist” system and said that those who spoke the truth made China uncomfortable. The discussion between the two Nobel Peace Prize Laureates took place at the University of the Western Cape in South Africa where he was due to deliver an address as part of Archbishop Tutu’s 80th birthday celebrations. On Friday, hundreds of people attended a service at St George’s Cathedral in Cape Town to celebrate his birthday. Among the crowd was the pop star Bono from U2 and Graca Machel, the wife of the former President Nelson Mandela. When the Dalai Lama had to cancel his visa, Archbishop Tutu launched a stinging criticism on South Africa saying it was “worse than the apartheid government” for failing to issue the visa. Protests were also held outside South Africa’s parliament by his supporters, who say the country’s sovereignty is being compromised. It was the second time in two years that the Dalai Lama’s visit to South Africa has been blocked.